Heart Rate: Should It Be Tied To Pace? Many running guides, metrics, coaches, etc, will talk about your pace in relation to your heart rate, namely your maximum heart rate and what percentage of your maximum heart rate corresponds to a given effort or pace. What to do in accordance with your heart rate depends on who is giving the advice, from Daniels and other coaches recommending a given heart rate for every pace, even suggesting your fastest runs be done at 100% of your max… to the Phil Maffetones of the world recommending you never run above 75-80% of your maximum heart rate… to coaches like the Hanson Brothers who won’t really discuss heart rate at all, focusing solely on your pace. And this never minds that few can seem to agree on how to determine your max heart rate. Presuming you don’t shell out for an abusive VO2max or heart rate test, you’re often left to estimate using methods no one can agree on. The conventional ‘subtract your age from 220’ formula has long since been proven inaccurate. Runner’s World floated the result of a 2001 study as proof that the formula is close to (207 – (your age * 0.7)). Scientists in Norway have found that an accurate formula is (211 – (your age * 0.64)). That’s the formula I use. The max it gives me (currently 185) seems more attainable than other results. But anyway…. Personally, because I’m a fan of not dropping dead, I tend to avoid trying to hit my max heart rate even when running hard. The closest I have gotten according to my Fitbit tracker is 184. My Blaze once said my heart rate had hit 187, but that could have been a blip. In neither case did I feel anywhere close to death: They were random occurrences during otherwise typically tough runs or workouts. In most of my speed workouts and races, my heart rate may reach the 160’s, occasionally the 170’s. In my fastest 5K’s my HR has tapped the low 170’s for a short spell, but otherwise I never get above the high 160’s… even if technically I should be able to hit 185. I do begin to wonder if along with my aerobic endurance my lower body muscles have sort of a ‘solid state hard drive’ strength to them, where my heart doesn’t need to pump at a maximal rate to keep everything going, where the muscles have the strength and energy systems to keep going with a more high-normal rate of circulation. Even when running at closer to threshold effort or pace, I find I don’t always get to what Daniels would consider a threshold heart rate. It’s often closer to a marathon effort heart rate, maybe a half marathon rate. 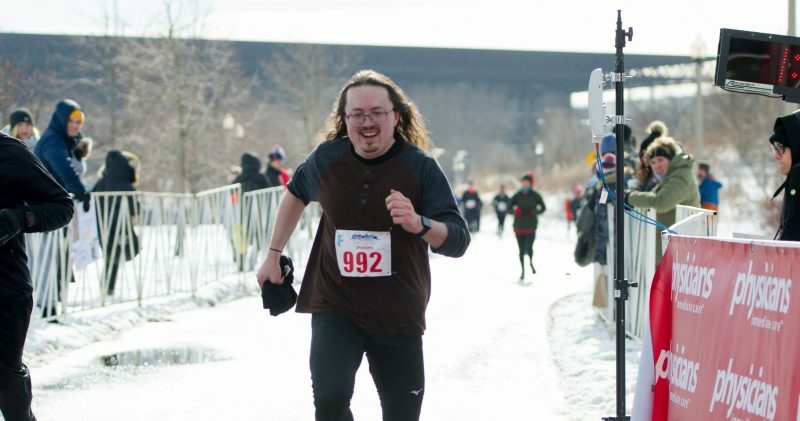 Even when I PR’d last year’s Lakefront 10, my heart rate never hit the 160’s until the final couple miles, when I was kicking for a strong finish. Sometimes during my regular runs I hit the 140’s, but often my heart rate is in the 130’s. On my long runs during the last training cycle, I even hung in the recovery-territory 120’s for much of those runs. I don’t know if I’m doing things differently, or if my body is wired differently, or what. But I certainly don’t mind seeing results even if my heart’s not having to pump at the rate that experts say it should be for me to get those results.